Through our survey data and interactions with global Network members, Uptime Institute has noted large enterprise companies that have gone from running their own data centers exclusively to augmenting with some form of outsourced infrastructure. Does this match your experience? Do you see large enterprises extending their data centers into third-party sites that might not have been doing it three to five years ago. David Meredith: Absolutely, we definitely see that trend. 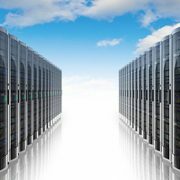 There is a migration path for enterprises, and it starts with making the decision to move to colocation. Over time, we see these companies develop roadmaps where they look to move to more automation and a consumption-based approach to workload management; we call it the stairway to the cloud. It is a hybrid approach where enterprises may have some colocation, some managed services, some public cloud, and some private cloud. What do you think is driving this data center outsourcing trend? David Meredith: There has never been a better time to grow a business, to exercise entrepreneurship at a grand or small scale, because everything needed to enable a growing business is available as-a-service. So you can focus on what makes a winner in your space and core competencies, and then outsource everything else that’s not core to your specific business. Infrastructure supported by the data center extends that concept. Companies need agility, the ability to scale more quickly, to put capital to the highest and best use. The data center business continues to require more sophistication as it relates to cooling, energy efficiency, change management, certifications, and standards. Enterprises don’t need to be expert on how to run and operate a data center because that distracts from being the best in the world at their core products and services. That’s a full-time job in and of itself, so it makes sense that data center-as-a-service continues to grow at a double-digit rate. 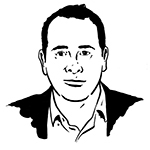 Drew Leonard: Today, if you look at IT budgets, they’re typically not growing. But the IT department, the CIOs and CTOs, they’re all expected to be more nimble and to play a bigger part in the growth of the company, not just figuring out how to reduce cost. So, outsourcing the colocation and other components allows them to be more nimble. But, it also gives them quicker speed to market and extends their geographic reach and ability to get into multiple markets. If you’re going to manage and maintain your own data center—if you’re going to keep it up to the specs of where the commercial data centers are today—there’s a lot of training and maintenance that goes into that. Do you see regional differences in how data center services are procured around the globe? David Meredith: Yes, we do see cultural differences. One of the things we’re driving now is having a much wider range of flexibility on the densities we are able to accommodate. In Asia, customers are still looking for lower density solutions, whereas in North America, we have more demand for very high density solutions. Drew Leonard: Carrier density and diversity are much more common in North America, and it’s becoming more mature in Europe. I’d say it’s different in Asia because of the regulated environment with regards to telcos. There are simple things, like David said, that’s very true; the densities in Asia right now are still a little bit lower as people move out of their existing data centers which traditionally are a lot lower density than the new commercial-grade type of colocation facilities. When we speak with enterprise operations staff, they are tasked with either procuring colocation services or managing a data center remotely through a third party; they have had to do a lot of on-the-job training. Many have never been in this position before and do not have a lot of experience around the procurement side or third-party vendor management. What are the skill sets people try to develop to shift to a broker/manager of these kinds of services? David Meredith: Financial modeling is important in understanding the true total cost of ownership (TCO), as well as understanding what exactly you’re getting. Not all data centers are created equal, and sometimes it’s hard for buyers to discern the quality level that went into one building versus another building. What are the points of differentiation there? Also, what are going to be the incremental costs from a TCO perspective if you go with a cheaper solution? Digging down to that next level is pretty important. For example, how much distribution is included in your price quote and what are the non-recurring charges associated with the service? Drew Leonard: Some customers are making decisions based purely on price and not looking at the historical background of the companies. Enterprises should look at the overall performance over a period of time and look back at that historical representation over a variety of different situations and circumstances. Are those providers maintaining all of their facilities to 100% uptime? David Meredith: Building on that, don’t just look at the facility itself. You really have to look at the people and the processes that are managing the facilities. If there is a problem, it often comes down to human error. You want to have a provider with a very robust set of repeatable processes that meet or extend industry standards. Industries like financial services, health care, or government are attuned to this process. What will keep that data center up 100% of the time is having very good change management processes, so someone doesn’t make a mistake or cause a problem. You have to ask: What is the experience level of the people that are running the data center, what are the processes they’re following? That can be almost as important, if not more so, than evaluating the facility itself. This seems like a decent segue to discuss your organization’s commitment to Tier Certification. Why is CenturyLink pursuing Tier Certification, and how is Certification impacting your conversations with customers? 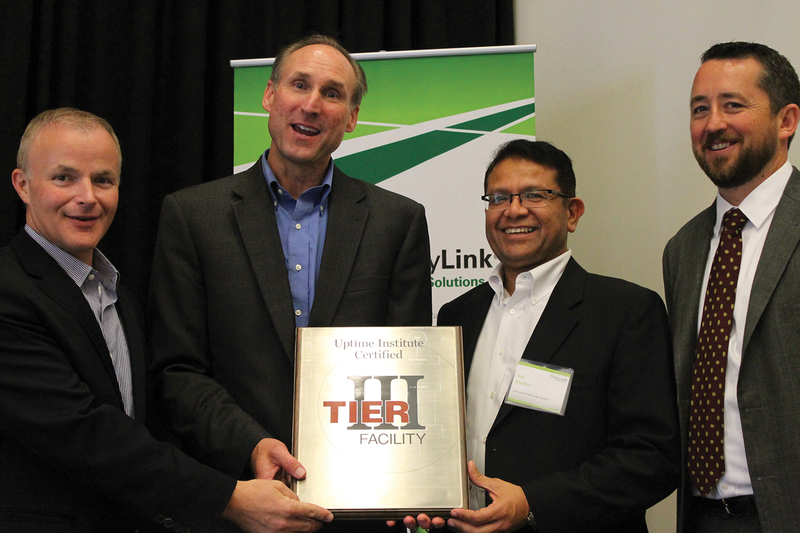 CenturyLink executives (left to right) Joel Stone, Drew Leonard, and Ash Mathur accept the plaque for CenturyLink’s new Tier III Certified Facility in Toronto from Uptime Institute Chief Operating Officer Julian Kudritzki. David Meredith: CenturyLink invests heavily in our data center capabilities, and we’ve made a decision in terms of our positioning in the marketplace to be on the higher end of the quality spectrum. Also, CenturyLink is a big contractor to the government. We have a very significant financial services practice. So, standards are important, quality is critical, and we believe that the Tier Certification process is a way to clearly reflect a commitment to that quality. We’re making the investments, so we think Tier Certification is a great fit for what we’re already doing. We have 100% uptime SLAs, and we put the resources behind that to make it something we can really stand behind. Drew Leonard: I see more and more in RFPs—companies don’t want a facility that’s just Concurrently Maintainable. Customers are starting to look for official Tier III Certification. So, Tier Certification is increasingly important to the customers that are coming to us and the opportunities to even be considered as a data center provider for large enterprise companies. Having the Tier Certification foil is extremely important. For us, it’s just the next step. We don’t want to have to explain ourselves. We want to be able to say that we are Uptime Institute Tier III Certified at the Design and Constructed Facility levels and that we’re executing on that plan. Then, our operations teams back it up with the day-to-day processes that they put in place to keep our facilities running. What are some of the common mistakes enterprises get into when they first start entering these colocation relationships? David Meredith: We’re seeing people focus on one number for cost. Then they’re paying more overall because they’ve only focused on one metric. Companies are pushing their price per kilowatt lower, but then they’re charging all sorts of add-on fees and other charges on top. You have to look at the entire cost and look at exactly what you’re getting when you’re comparing to make sure you’re getting an apples-to-apples comparison across the options, both in terms of all costs as well as exactly what you’re getting for what you’re spending. CenturyLink provides transparent pricing, and we don’t like to nickel and dime our customers. We tend to package more into the base package than our competitors. Drew Leonard: Migration is always a key piece and adding services, turnover of equipment, or refresh. There is also staffing growth. Companies have a very hard time predicting their growth and having a scalable growth plan. When enterprises look at the future, they’re not able to clearly predict that path of growth. Follow-on costs may get overlooked in a long-term view when they’re trying to make this short-term decision. Do you see any resource efficiency implications in this outsourcing trend? David Meredith: For the enterprise, one analogy relates to energy efficiency for automobiles. You can buy a highly efficient vehicle, but if you’re slamming on the gas pedal and slamming on the brakes, that’s not a very fuel efficient way to drive and operate the car. CenturyLink is focused on efficiency every day—we’re trying to figure out how to squeeze that next improvement in efficiency out of the data center in terms of power usage and operating efficiency. To extend the automobile analogy, if you really want to be energy efficient, you can carpool to get to work each day. Similarly, when you start to migrate services to the cloud, essentially you’re carpooling in the data center. 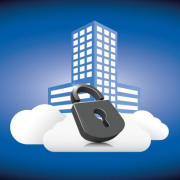 You want to have a colocation provider with a flexible set of product offerings that can move into the cloud when needed. It’s great to have contractual flexibility to shift your spend from colocation to cloud over time and do it all in the same footprint. Do customers demand transparency on energy usage and resource efficiency from your data centers? If so, how do you meet those demands, and how does CenturyLink compare to other colocation organizations in this regard? bleeding-edge developments in terms of data center efficiency. CenturyLink works with customers to audit what they are doing and suggest improvements based on their specific requirements. We offer an option for metered pricing. Our recently announced modular data center deployments and IO.OS software from the IO partnership can be a differentiator for customers. Our engineering teams have been utilizing a variety of approaches to improve energy efficiency across our 57 data center footprint with positive results. Where do you see the marketplace going in three years? David Meredith: Each year, we see more colocation purchases from the service provider segment or what I call “X-as-a-Service” companies. Many of these companies are born in the cloud, and they need data center space to enable the end service that they provide for the enterprise. We invite and welcome service providers into our data centers as colocation customers because they help to strengthen our ecosystems and provide services that are just a cross-connect away from our enterprise customers. We encourage our enterprise customers to be informed purchasers of managed services and to ask the right questions to understand what data centers are underpinning the managed solutions that they buy. Drew Leonard: That’s right; we even launched a service called ClientConnect which acts like a dating service to help our thousands of customers more easily connect with service providers in our data center ecosystems. As senior vice president and global general manager at CenturyLink Technology Solutions, David Meredith oversees 57 data centers and related services across North America, Europe, and Asia. Mr. Meredith’s team manages the ongoing expansion of the CenturyLink data center footprint, which involves several new buildout projects at any given time. Mr. Meredith’s global Operations and Facilities teams include several hundred members with over 15 years average data center experience and many certifications, which help them manage to a 100% uptime service level agreement (SLA) standard. The data center teams also support the CenturyLink Cloud Platform and a large managed services customer base. From the sales perspective, the team has recently added a new global vice president of Sales from another large colocation provider and is actively on-boarding new colocation channel partners as well as launching a new real estate broker relations team to help drive sales.